The Radyalis Monte Carlo dose calculator product is the fastest and highest-accuracy dose simulator available in the market. 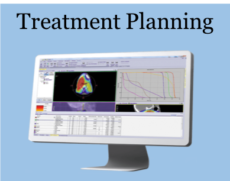 Within a single tool, Radyalis models photon, electron, and proton treatment modalities with straightforward extensibility for emerging ion therapies such as carbon and helium. 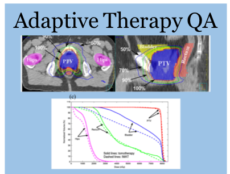 Radyalis makes practical today the significant advantages of Monte Carlo methods for clinical usage and fundamentally enables new adaptive radiation therapies with greatly enhanced precision and planning confidence. 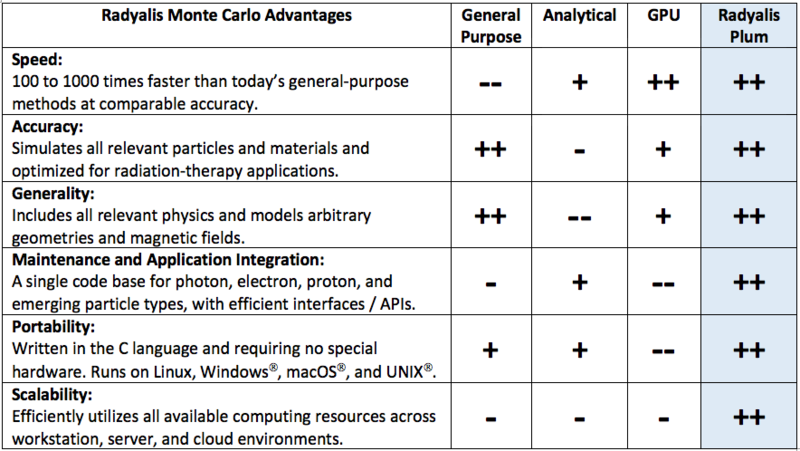 Fast Monte Carlo forms the basis for new analytics, business models, and cloud-based services. 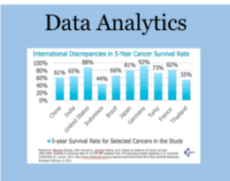 Radyalis’ game-changing advantages enable the superior benefits of Monte Carlo computation to be directly utilized in radiation therapy workflows, providing the clinician with the highest solution confidence throughout the treatment process. 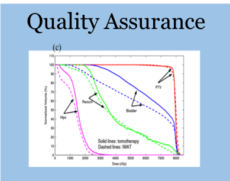 The Radyalis Plum Monte Carlo dose calculator offers significant benefits as compared to today’s general-purpose, analytical, and accelerated Graphics Processing Unit (“GPU”) based Monte Carlo methods.